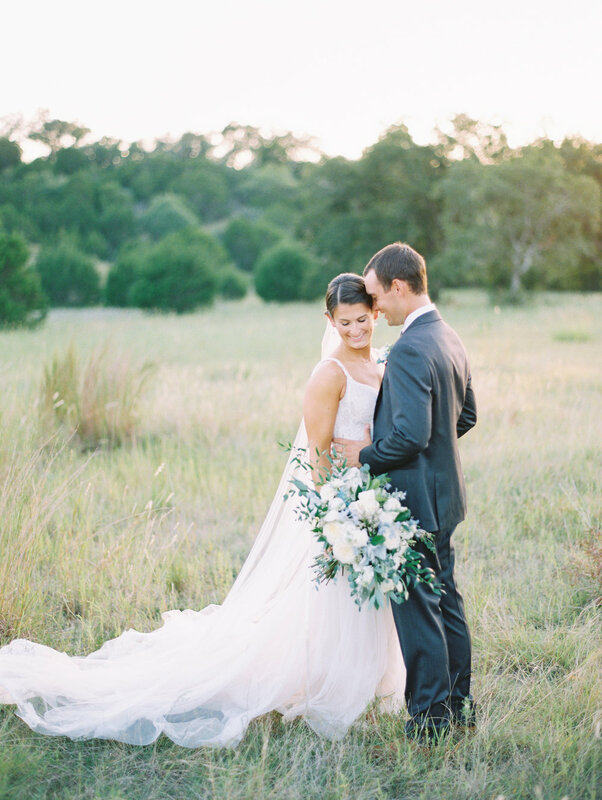 Erin and Davis met while attending Texas Christian University. 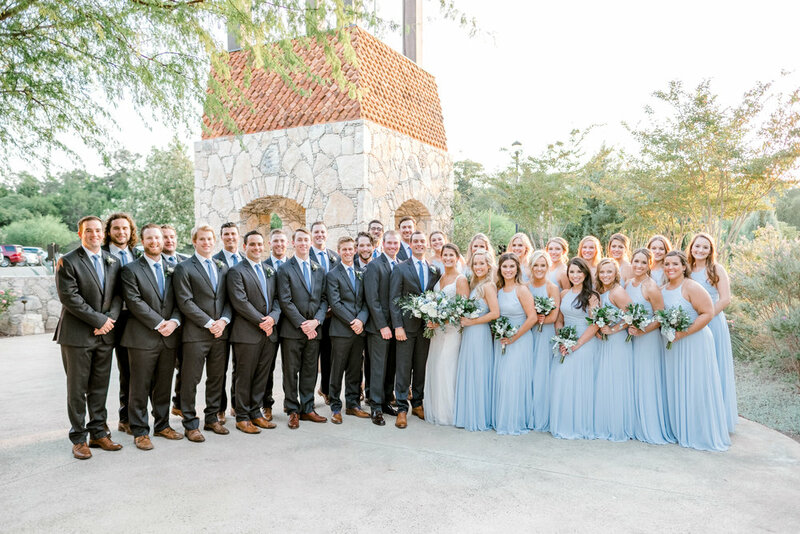 When they approached me about planning a hill country wedding with all of their friends and family, I enthusiastically said yes. 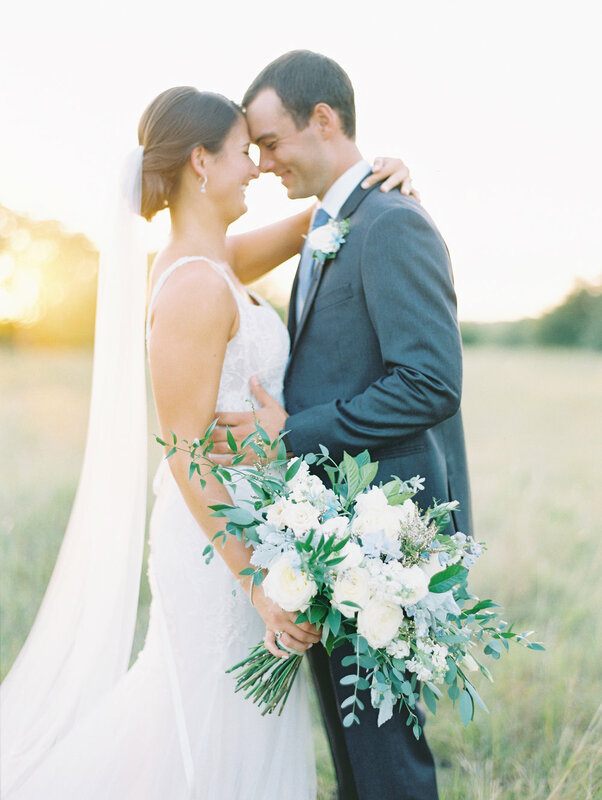 Erin and Davis' wedding day was full of so much love and beauty, from the rolling hills of Austin that set the backdrop for their sweet wedding venue, to the garden inspired flowers. 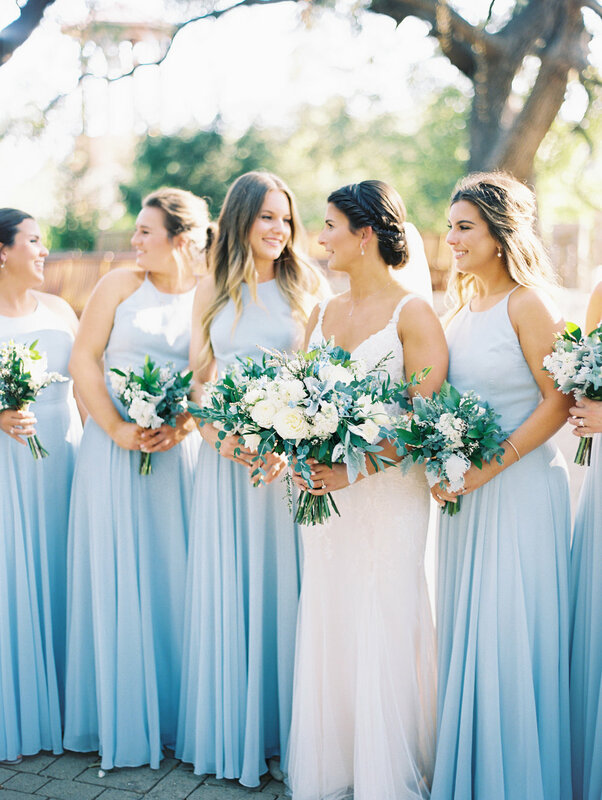 We were inspired by a palette of dusty blues and neutral tones to give a nod to the blue-green tints in the agave plants at Camp Lucy, and the natural landscape of the Texas countryside. 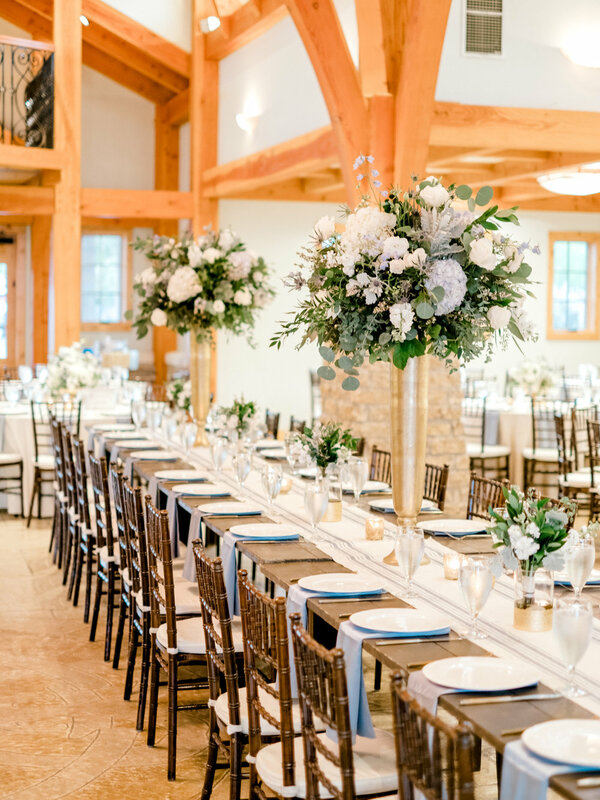 We utilized natural textures of reclaimed wood and patterned linens to give a juxtaposition of a laid back, yet elegant feeling. 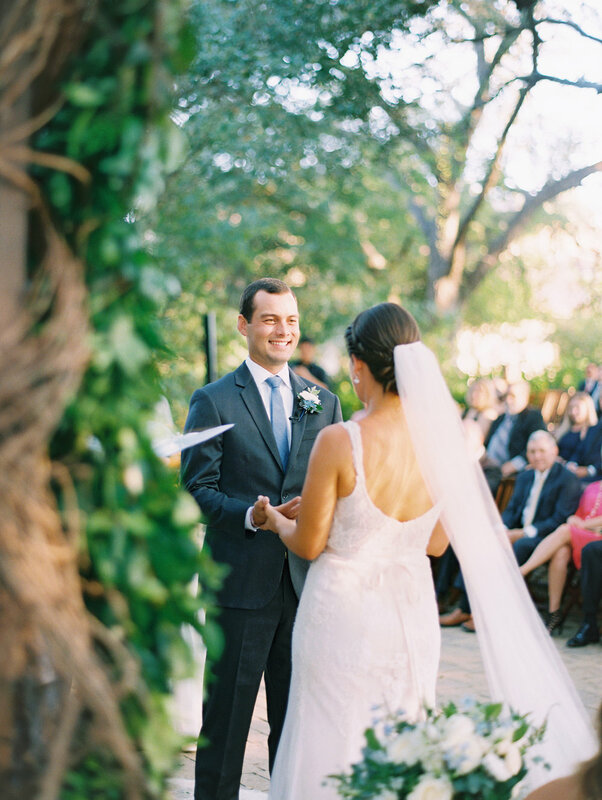 Allen Tsai Photography captured each vignette through the medium of film, and perfectly told the story of the love that these two share. 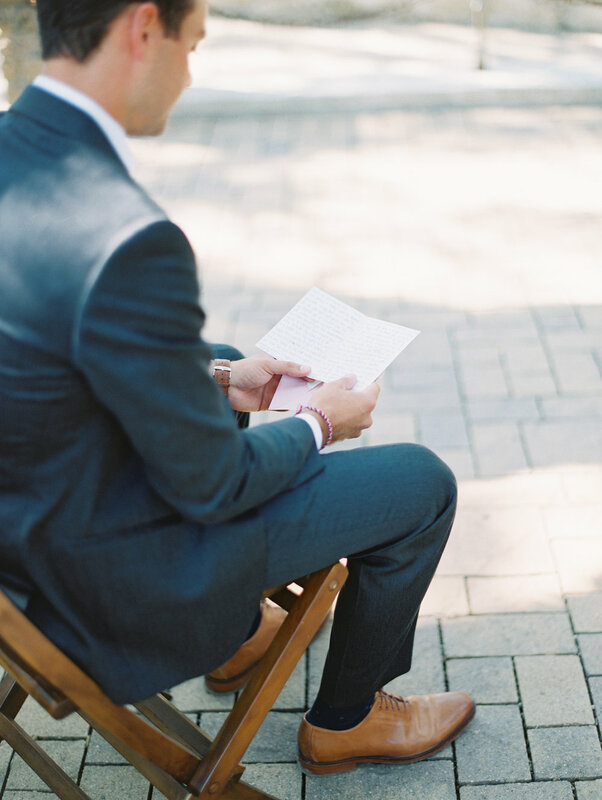 He perfectly captured each moment from the light shining through the trees at the outdoor ceremony to the sweet moments of the bride and groom reading notes to one another moments before they walked down the aisle. The couple sipped craft cocktails under a sperry tent complete with bistro lighting, and danced the night away with their loved ones to the sound of the live band. 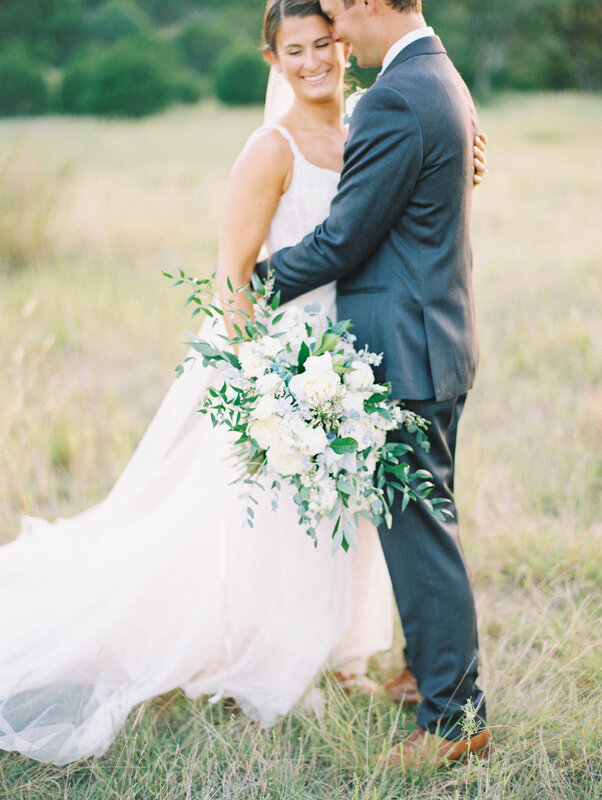 It was an honor and a joy to be part of Erin and Davis' wedding day! 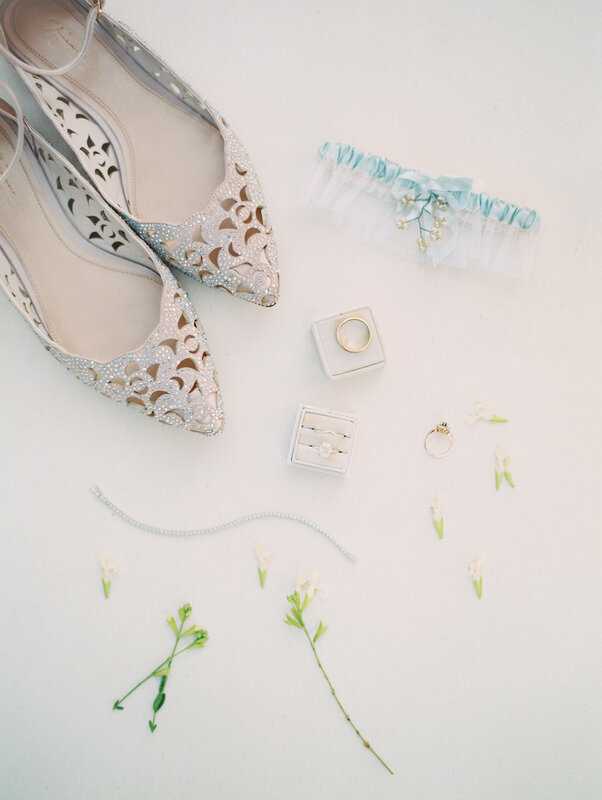 I hope you enjoy this small sneak peek into their special day! 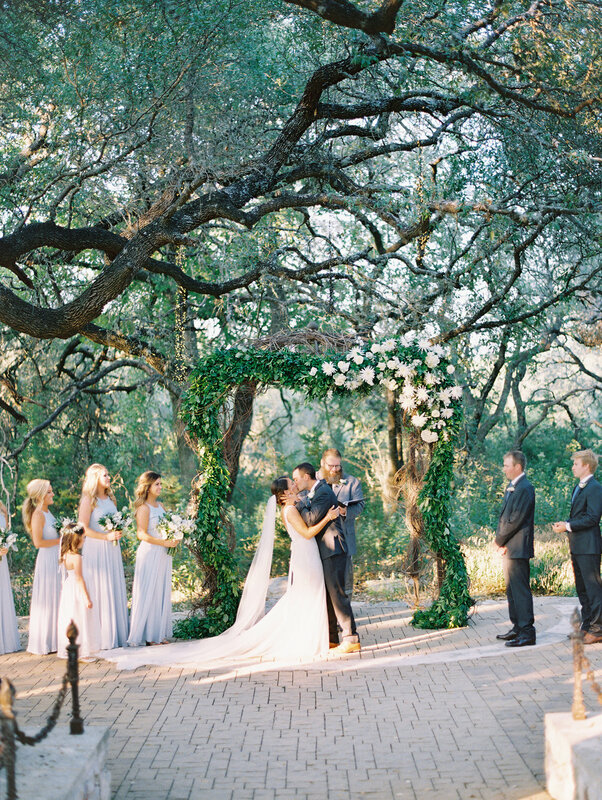 Wedding Planning & Design: Ivory & Vine Event Co.